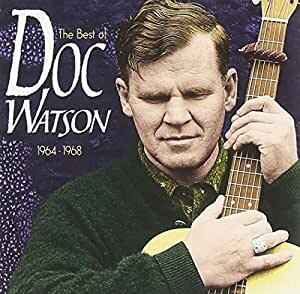 Arthel "Doc" Watson is perhaps the finest flatpick guitar player to ever pick up a guitar and this generous 23-track anthology goes a long way to support that claim. 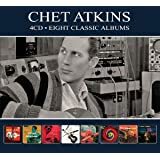 All tracks are taken from the six studio albums he recorded for Vanguard from 1964 through 1968. 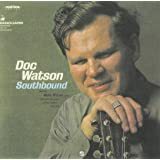 I first heard Doc Watson on the Nitty Gritty Dirt Band's WILL THE CIRCLE BE UNBROKEN where he performed his signature song "Tennessee Stud," included here from his classic SOUTHBOUND album. 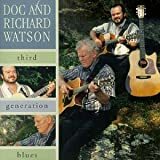 While not as good a singer as he is a guitar player, there is an earthy quality to his vocals, which is especially effective on the a capella gospel number "Down in the Valley To Pray." 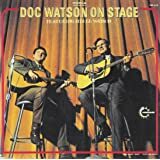 On many of these tracks, Watson is accompanied by his son Merle on second guitar. Listen to their delicate interplay on the instrumental "Dill Pickle Rag." As an added bonus, the final four tracks are previously unreleased. First, is a solo performance of "Grandfather's Clock" with Watson accompanying himself on guitar and harmonica. Next is the Carter Family's tragic tale of "The Cyclone of Ryecov." Then there is the brief (1:23) guitar workout "Doc's Guitar." The final is the traditional "Crawdad Hole" performed live. 5つ星のうち5.010 stars out of 5! This guy is great! 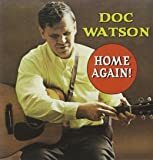 If you've never heard bluegrass, by all means listen to Doc Watson. If anyone can make you a believer, he can. 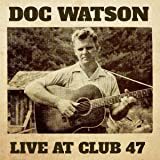 If you love bluegrass but somehow have never heard Doc, grab this CD. 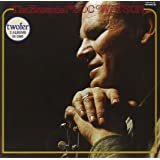 For those who are familiar with "Tom Dooley" only from the Kingston Trio's well harmonized but rather bland version, a revelation awaits -- and be prepared to be blown out of your chair. There are instrumentals here, an a cappella track, and a lovely ballad, "Alberta." 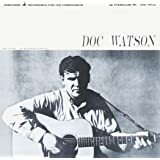 Watson sings and plays guitar, mouth harp and banjo. There are songs of love, murder, and humor. his first LP (he used Dave van Ronk's arrangement almost note for note). They're both good, but don't miss Doc's take on it. This is true American music, played and sung by someone who was born and grew up in the area it came from -- the Appalachian Mountains. I wish I could give this CD more than five stars. Oh, wait --- I did. 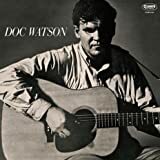 what can i say, doc watson.